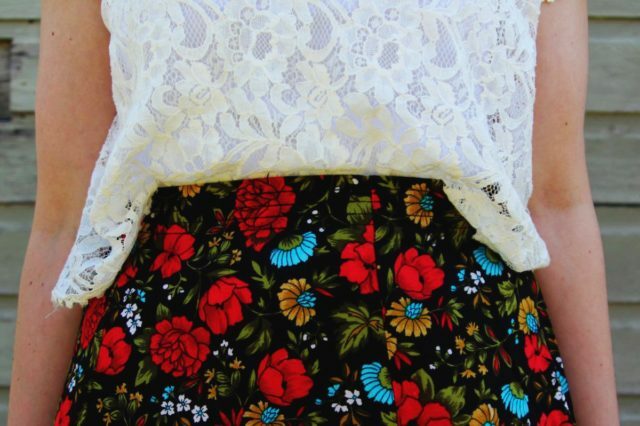 Home Outfit Pattern Mixing To The Max! A shift in the season, and my ever changing hair color, left my brain feeling drained of creative ideas but, luckily it was nothing a magazine binge couldn’t fix. Magazines are my go-to source of inspiration with Pinterest, bloggers, and street style following close behind. Our mailbox was stuffed to the max on Saturday with almost every fashion magazine I subscribe to, so I carved out a chunk of time and had a major catch-up sesh with the latest and greatest in what people are wearing. One page stuck out to me more than any other and it was the basis of this entire outfit. 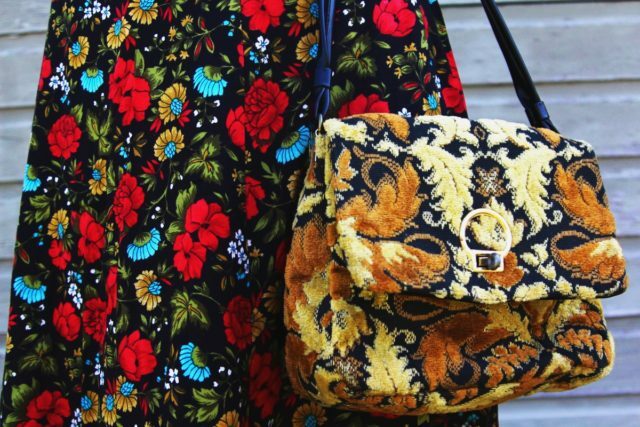 I was instantly drawn to this purse I thrifted last summer (remember that haul?) 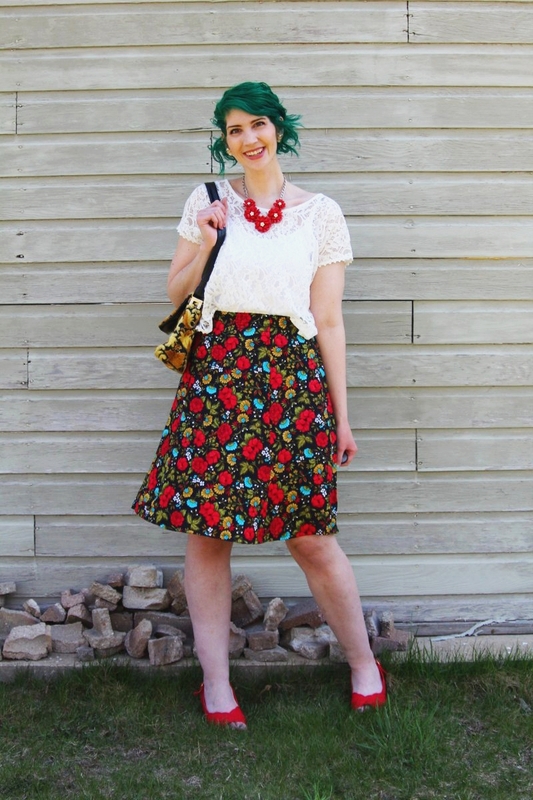 and this skirt I got free, also found in a previous thrift haul. The skirt was a recent DIY project where I hacked up the hem to make the length suit me better and I feel dumb that I didn’t do it sooner. Sometimes simple tasks intimidate me and I put them off. For shame! The classic shape appealed to me while the pattern was really something exciting. 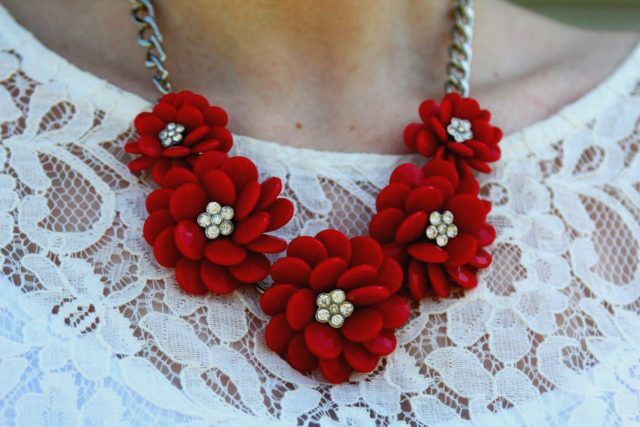 I paired it with an equally exciting white lace crop top and this red flower statement necklace. How could I not? Altogether I feel like I look like spring, if it was a person. 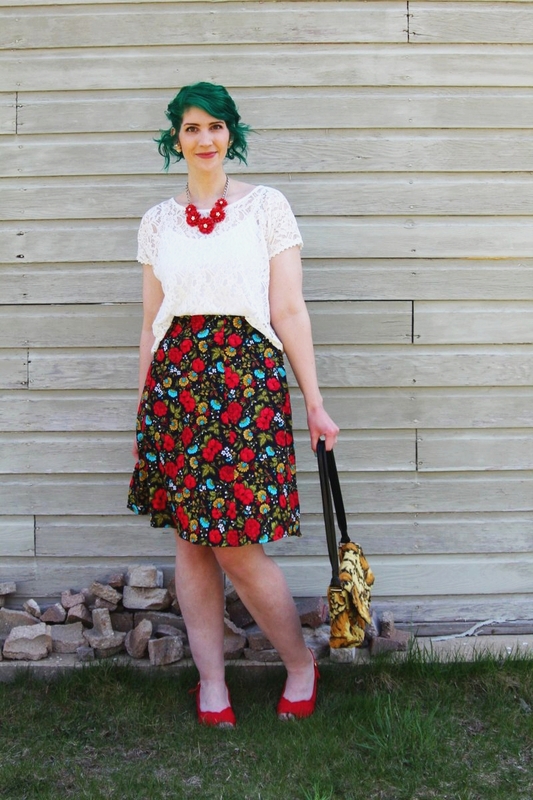 I don’t even mind that I sort of resemble a flower because of my green hair and all the crazy floral print! This is definitely a style I want to revisit in the future. 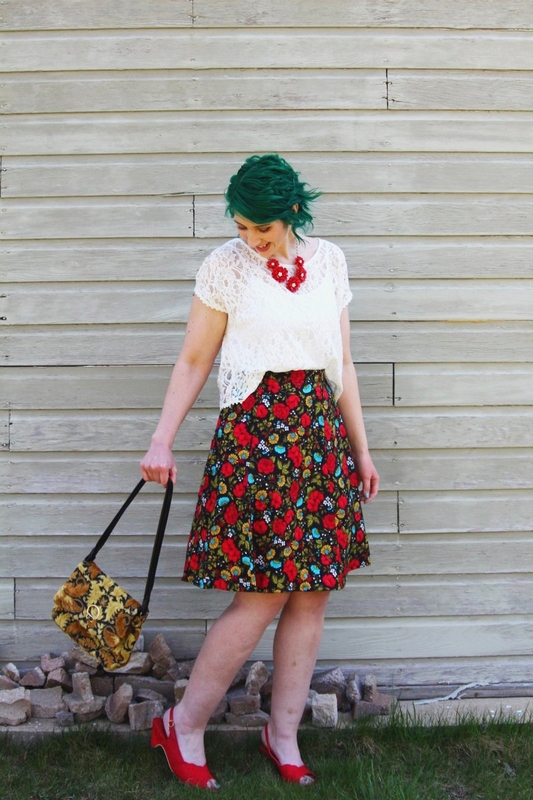 Do you think you’d take on the challenge of wearing a bunch of loud pieces together at the same time?